Wednesday, April 10, from 6:00-9:00 p.m. is the Bishop’s “The Light is on for You” evening. All four churches will be open for the Sacrament of Penance. There are also additional noon confessions each Saturday during Lent, please check the bulletin. The clergy team is also making the sacrament available for all the children in Religious Education. Please pray for those who will be baptized and those Christians who will become members of our church at the Easter Vigil. They are: Matthew Arbutina, Rachel Brieve, Grant Fetrow, Rolando Gacad, Aaliyah McGinnis, Tony Sabo and Nate Sarver. How is your Lent going? Remember if you fall, pick yourself up, gently dust yourself off and resume your journey with your eyes fixed on Jesus. As we think about the Passion of Jesus, there might be some aspect, or a detail in the story that is particularly meaningful for you this year. You might see a parallel in your life or in someone you love. This is a great blessing. Anything we can do to connect ourselves to Jesus’ passion will only make us stronger and help make His love ever more personal and real. Support for both Fish Fries has been outstanding. Great work, everyone!! Thanks to all the wonderful customers and thanks to the wonderful volunteers who make this work so well. CONFESSIONS THIS WEEK: Wednesday – April 3, @ St. Cecilia, 6:00-6:45 pm; Saturday – April 6, @ Saints Peter and Paul @ 12 noon; St. Cecilia at Noon and Holy Family @ 3:00 p.m.
Also looking far ahead, Sunday, September 1 will be OUR Parish Picnic, a four parish picnic, at Brady’s Run Park. Week three of Lent starts today. If you find yourself stumbling in your Lenten resolutions, don’t give up. Remember Jesus fell on His way to Calvary. Ask for His strength and compassion. Pick yourself up and keep going. Stations of the Cross are a powerful Lenten prayer. We have lots of opportunities: 4:00 p.m. at Saints Peter and Paul, Beaver; 6:30 p.m. at Holy Family, New Brighton; 7:30 p.m. at St. Cecilia, Rochester and St. Felix, Freedom. There is also a children’s version at Saints Peter and Paul at 2:00 p.m. (School children are the leaders). CONFESSIONS THIS WEEK: Wednesday – March 27 @ St. Cecilia, 6:00-6:45 pm; Saturday – March 30 @ Saints Peter and Paul @ 12 noon; St. Felix @ 12:00 noon and Holy Family @ 3:00 p.m.
St. Patrick’s Day was always fun as a child and even more so as I got older. Everyone is Irish on March 17. I actually am part Irish through my grandmothers. But as I’ve read and learned more about Ireland over the years, I’ve also realized that there is so much more to St. Patrick’s Day than the wearing of the green, enjoying an adult beverage or two or that delicious Irish soda bread. The Irish suffered a great deal to practice the faith that Patrick brought to their country. So this is much more than an excuse to party. It’s recognition of a people whose identity, culture and national life was rooted in their faith. Similar stories could be said about the people of Poland, Russia, the Catholics of England, Cuba and so many other places where the Church has been oppressed. There are many great heroes to celebrate, some of them, our own ancestors, perhaps. Patrick, the great Bishop of Ireland, reminds us today to be true to our faith through all struggles, failures and blessings. The Second Sunday of Lent always take us up the mountain with Peter, James and John to see a glimpse of the glory that is Jesus, a glory that will be ever more deeply revealed in His loving sacrifice on the Mount of Calvary. As Jesus is transformed, it’s a reminder that as we struggle with our humanness this Lent, we too can be transformed into being more like Jesus. Be patient with yourself and your Lenten sacrifice. Don’t forget the Mass schedule surveys. Try to get them done by the end of the month. Please remember Friday Fish Frys at Saints Peter and Paul from 3:00-7:00 p.m. in the school cafeteria and at St. Cecilia’s from 11:00 a.m. to 7:00 p.m. in the St. Cecilia Hall. Please try to support them both. Every year I’m the only priest I know who gains weight during Lent. p.m. and Thursday at Holy Family at 7:00 p.m.
CONFESSIONS THIS WEEK: Wednesday – March 20 @ St. Cecilia, 6:00-6:45 pm; Saturday – March 23 @ Saints Peter and Paul @ 12 noon; Holy Family @ 12:00 noon and 3:00 p.m. Lent has begun. We are on a journey with Jesus into the desert which will take us with Him to the cross. Whatever we do, give up or sacrifice for Lent, the reality of Jesus’ cross is ever before us. It’s our focus. MASS SCHEDULE SURVEY – Every parish is to do a survey on the current Mass Schedule. There are two ways to do it: on-line at the following websites for each parish: St. Cecilia – www.beavercatholic.com; Saints Peter and Paul – www.ssppbeaver.org/church; Holy Family – www.holyfamilynb.com; St. Felix – www.stfelixfreedom.org or on paper (in the back of church}. “On-line” is preferred simply because our staff won’t have to take the information by hand. This information is for the Diocese and for us to see if there are any significant problems that need attention. Please complete these by the end of March. Thank you to those who have already done it. THE NEW PARISH SHARE CAMPAIGN has begun. Each of our parishes has been given a higher amount to raise. This is surprising to me since all 4 collections have suffered losses since this summer. This is worrisome. I am concerned that if we can’t stay current with our bills, how will we make our Parish Share goals? If we don’t make Parish Share goals, that money must come from savings. If we don’t have savings, what do we do for emergencies? We need healthy weekly collections and our Parish Share for a financially viable parish. Let’s pray for one another that this Lent will be a time of deepening the grace of God in us. Jesus is with us. May His love give us strength and inspiration. CONFESSIONS THIS WEEK: Wednesday – March 13 @ St. Cecilia, 6:00-6:45 pm; Saturday – March 16 @ Saints Peter and Paul and St. Cecilia @ 12 noon; Holy Family @ 3:00 p.m.
Wednesday, March 6, is Ash Wednesday, a day of fasting and abstaining from meat for those of us old enough and healthy enough to be obligated. Lent is such a holy and special time for us. Whatever it is we do or sacrifice for Lent, it needs to have the effect of connecting us more deeply to the sacrificial love Jesus showed by His Passion. Again, Ash Wednesday Liturgies are: 7:30 a.m. @ St. Felix; 8:30 a.m. @ Holy Family; 9:00 a.m. and 12:00 noon (service) @ Saints Peter and Paul; 12:00 noon @ St. Cecilia; 4:00 p.m. @ Holy Family; 7:00 p.m. @ St. Cecilia. St. Felix @ 7:30 p.m. There are two Fish Fries each week to support: St. Cecilia from 11:00 a.m. to 7:00 p.m. in the St. Cecilia Hall and Saints Peter and Paul from 3:00-7:00 p.m. in the school cafeteria. Take outs are available at each. When we get to Holy Week, things will look very different this year. For the Triduum, there will only be one Mass of the Lord’s Supper. That will be at 7:00 p.m. at Saints Peter and Paul. All 4 churches will be open for prayer on Holy Thursday evening. On Good Friday, there will be 3 Liturgies of the Lord’s Passion: 12 noon @ St. Cecilia; 1:30 p.m. at Holy Family; 3:00 p.m. at St. Felix. The idea of changing these Liturgies might not be popular but hopefully, they will help us to gradually come together as a new and united community. There will be two Easter Vigils both at 8:30 p.m. at St. Cecilia and Saints Peter and Paul. These were chosen because of R.C.I.A. candidates. Easter Sunday will add a Mass to Holy Family, St. Cecilia and St. Felix due to the larger crowds on Easter. There is some gain and some pain for everyone. Fr. Paul and I recently attended a symposium on church safety. More information will come for this but one of the “take-a-ways” for me was the existence of the “211” phone number operated from United Way. 211 is an emergency line to direct people to places and resources in which they can find help. I had never heard of this but it sure sounds like something we should all know about and recommend or use when necessary. THE PARISH SHARE drive begins this week. More information will be coming. As of Monday morning, I don’t know what the 4 assessments will be. Please remember that the service this money supports comes back to us in many ways. Furthermore, any money we collect over the assessment becomes ours, free of any assessment. Lent will be here very quickly. Before it catches us by surprise, now is the time to start thinking about Lent and asking the Lord to show us where we need to grow and what we need to do for Lent. The answer might be different from previous Lents, it might be the same. The point is to seek God’s grace in helping us determine those decisions. The Lenten Regulations are published elsewhere in the bulletin. Please take a look. Again, the schedule for Ash Wednesday, March 6th Masses and prayer services over all 4 parishes is as follows: 7:30 a.m. @ St. Felix; 8:30 a.m. @ Holy Family; 9:00 a.m. and 12:00 noon (service) @ Saints Peter and Paul; 12:00 noon @ St. Cecilia; 4:00 p.m. @ Holy Family; 7:00 p.m. @ St. Cecilia. Stations of the Cross will be on Fridays (except for Good Friday) as follows: Saints Peter and Paul (School) @ 2:00 p.m. and 4:00 p.m.; Holy Family @ 6:30 p.m.; St. Cecilia @ 7:30 p.m.; St. Felix @ 7:30 p.m.
Just so everyone knows, here is what is happening with the clergy salaries. Where 4 parishes had each been paying for the salary/benefits of their priest, now the responsibility has been lessened since Fr. Tom Kredel retired. Three salaries are provided by 4 parishes, so each parish gets to save a little. The Capuchin salaries come from St. Cecilia and St. Felix. Mine continues from Saints Peter and Paul. Holy Family sends a partial reimbursement to the others. At such time in the future when our money is blended, this will change of course. Our prayers are needed for the “Welcome Retreat Team” and for those men and women making the Retreat both this weekend (ladies} and next weekend (men}. God bless you all. Ash Wednesday is around the corner: March 6th. We’ve tried to spread the Masses and prayer services over all 4 parishes as follows: 7:30 a.m. @ St. Felix; 8:30 a.m. @ Holy Family; 9:00 a.m. and 12:00 noon @ Saints Peter and Paul; 12:00 noon @ St. Cecilia; 4:00 p.m. @ Holy Family; 7:00 p.m. @ St. Cecilia. Also, Stations of the Cross will be on Fridays (except for Good Friday) as follows: Saints Peter and Paul (School) @ 2:00 p.m. and 4:00 p.m.; Holy Family @ 6:30 p.m.; St. Cecilia @ 7:30 p.m.; St. Felix @ 7:30 p.m. This is the weekend before Presidents’ Day. Long, long ago St. Paul reminded Christians of their obligation to pray for government leaders. So must we. Christians have the obligation to pray for those people who might be classified as “enemies” whoever they may be. We can disagree without hatred. We’re in the midst of the contagious season: flu, colds, G.I. viruses, etc. But our grouping has had a high level of contagion of boiler problems as well, all four churches having big time, I hear, expensive issues. A small explosion in the boiler room at Saints Peter and Paul School kept the kids in extra layers for a week. St. Felix was next with engine problems in the organ and heating issues for both church and rectory buildings. Then Holy Family had a pump that needed replacing. The same week, St. Cecilia had a freezing church on Saturday that needed emergency assistance. Hopefully, everything is working and can get us through the winter. Insurance will help with the school boiler, but the other three are all to be paid from checking account and savings. In my bulletin articles, I am going to shine a spotlight on some of the wonderful ministries that go on in our four parishes. My hope is that you may feel the Holy Spirit nudging you to get involved. This will strengthen the personal holiness of the individual and help build unity and fellowship for our new parish. We’ve focused already on the Welcome Retreats which are coming later this month. So, I would like to spotlight The Holy Name Society. Holy Family and St. Felix each have a Holy Name Society. Older parishioners will remember this group from the past. Saints Peter and Paul attempted a re-start several years ago. What is it? There is so little reverence for the name of God in our culture. The Holy Name Society is a spiritual confraternity of men within the Catholic Church for lay people, religious and clergy. The mission is to promote devotion and reverence to the Holy Name of God and Jesus and to help members grow in holiness. The Holy Name Society helps its members to become better Catholics, family members, neighbors, citizens, employees and employers. Please call Holy Family at 724-847-3538 and St. Felix at 724-869-0904 for contact information. Please keep in your prayers all those who are planning on making the “Welcome Retreat”: The ladies, February 17-18 and the men, February 23-24. There are still some openings for anyone who might still be interested. Anytime we make a gift of our time to God like this, abundant blessings are returned in many ways. Sometimes those blessings are surprises, but they will come. After many years of beautifully decorating our church for the major Liturgical Seasons, Beverly Pietrandrea and Terri Mininni are stepping down. I know you want to join me in thanking them for all the joy and beauty they have brought us. Furthermore, I am hoping that some of you may want to form, with me, a committee to take their place. Please call me if you are interested. It’s already February, which means Lent will be here before we know it. Ash Wednesday, this year, is March 6, and Easter is April 21. I’m sure everyone realizes that the Lenten schedules of the past will undergo change. We will let you know as soon as we can about what will happen with the schedules. The recent news of the State of New York providing full term abortions is certainly disconcerting. It reminds us of how much it is we must pray for our country and a change of attitude regarding the sanctity of human life. All of our second graders should have received the Sacrament of Penance for the first time. We need to pray for them and their families as they prepare for their First Holy Communion. Speaking about prayer and preparation, our 8th graders will be confirmed on Monday, April 29. All four parishes will come together at Saints Peter and Paul for this great event (Diocesan orders, not mine). February can be a dark and depressing month for many folks. Never underestimate the power of a phone call checking in on someone who might need “a lift”. 1. I need to thank everyone for all the support given to the vital and necessary fundraisers that help to stabilize tuition, which helps our school stay open. 2. As the parishes come together, this is going to be “Our School”. Already there are many students from other parishes besides Saints Peter and Paul. Perhaps this is an option that my parishioners at Holy Family, St. Cecilia and St. Felix might consider for their children and grandchildren. Come take a look. There’s an Open House today, Sunday, January 27, after the 10 am Mass and several activities are scheduled this week. You can always call for a tour and an appointment. 1. The schedule of the On Mission Program is asking for a follow-up survey about the new Mass schedule, so look for that in the weeks to come. 2. Soon we will begin the interview process for the position of Facilities Manager for all 4 campuses. We have several resumes. I’ll keep you posted. 3. Also on the discussion agenda will be Pastoral and Finance Council reorganization and exploring how we can best serve and enhance our Religious Education Programs. A new month begins later this week. A dear priest friend reminded me that February can be a very difficult month. The colors of Christmas are past. It’s cold, wintry and depressing and it can get to us if we’re not careful. Dedicated time for prayer can help us remain cheerful and support each other. This Tuesday, January 22, is the anniversary of the Supreme Court decision that permits abortion on demand in the U.S.A. We are asked on this day to make personal acts of penance, prayer and reparation for this great blight upon our nation. Monday, January 21, is the national holiday honoring the birth of Dr. Martin Luther King. The whole area of civil rights and racial tensions is also a problem for our nation that constantly needs much prayer and personal examination. The week of prayer for extra unity began last week on Friday, January 18, and concludes on the 25th which is the Feast of the Conversion of St. Paul. The story of Paul’s conversion is an important moment for ALL Christians. What an inspiring and amazing coincidence that he who was such an avowed enemy of the Christians would become our greatest teacher. God can – and does – call each of us, no matter what our sins. I put in a plug for the Parish Share drive at Rochester and Freedom last week. Holy Family has made theirs. Most probably, St. Felix did too. It’s important that we exceed the Parish Share goal in order to make extra savings for the parish that is assessment free. We are required to pay our goal anyway, so this can be a very good source of revenue. Next week is National Catholic Schools Week. There are a number of activities and special events to which everyone is invited. More details will be published next week. Any e-mail from Father Miller with an @gmail extension is SPAM!! Father Bob would never ask for donations through an e-mail!! Once again, I wish all of you a blessed and healthy New Year. Our Christmas Season concludes with the Baptism of the Lord and the inauguration of Jesus’ public ministry. Again, my thanks to all the volunteers, choirs, servers, Liturgical ministers, ushers, and staff who have done so much to make our churches and Christmas liturgies so lovely. Each church was so beautiful. There’s something I’ve noticed throughout Advent. Attendance was solid. Sacrament of Penance opportunities were very busy. People are calling about baptisms. People are returning to the Church even after being gone a good while. It seems that even though there is anger and more than a few departures over the Grand Jury report, the folks who are staying are taking their faith more seriously. I do believe, as I’m sure do all of you, that God can bring about goodness even in the worst of situations. Perhaps that is what I’m noticing. People are living their faith because it is their faith. It’s not about the man who is the priest but what we believe about Jesus that makes us who we are and is the focus of our religion. One parishioner quoted a young woman she had seen in a TV interview “We worship God, not the priest.” Certainly it seems that God is actively at work. It’s income tax time. Contribution statements are available upon request. All who contributed more than $250.00 will automatically receive a statement. Christmas is not over. Our beloved custom of giving gifts to one another stems from the Christmas feast we celebrate today: The Epiphany. The glorious truth of God made man was illustrated by a star that guided the Magi to the Christ Child. The residue of that light has guided all wise men and women to Christ ever since. May this incredible gift of God’s love we have received help us to be that gift to one another. Christmas has been wonderful! Thank you to everyone who has worked so hard to make our churches and our Liturgies so beautiful. Thank you, all, for your hard work and dedication. The Friars and I are proud to be your priests. We are especially grateful to the Parish Staffs whose hard work makes everything happen and makes us look good. On this first Sunday of the New Year, I wish you all good health, happiness and an increase in your need for Jesus. God bless you and Happy New Year. Tomorrow, January 7, is Christmas day for the Orthodox Christians. If you know anyone in those churches, wish them Christmas joy. This Sunday between Christmas and New Year’s Day is dedicated to the Holy Family. So, Happy Feast Day, Holy Family Parishioners!!! Most of us spend more time with family this time of year than any other. I hope that is a blessing for you, but even if it’s not – the Holy Family stands out for us as an example of Christian life and loving. Were their life situations perfect? Were they trouble free? Did they have nothing to worry about? Of course not. They had many issues to manage, just like us. Joseph and Mary, also like us, love Jesus. Keeping our eyes on Jesus – as they did – gives us the strength and focus we need. We have another Holy Day of obligation this week, January 1, the Solemnity of Mary the Mother of God. On New Year’s Eve there are 3 Masses: St. Cecilia at 4:00 p.m.; Holy Family at 5:00 p.m.; and St. Felix at 6:00 p.m. New Year’s Day, there are 2 Masses: Sts. Peter and Paul at 7:30 a.m. and 10:00 a.m. I hope your celebration of the New Year will be a safe, healthy and happy one. Before making New Year’s Resolutions, please pray about them. Ask the Lord for guidance and help. If we make Him part of our plans and ask for divine assistance, we have a much better chance for success. Christmas is upon us. Please remember we celebrate Christmas Day for an octave (8 days). The Christmas Season goes all the way to January 13, this year, the Feast of the Baptism of the Lord. The story of Jesus’ birth has so much to say to us. Don’t be in a hurry to leave it behind. St. Felix at 7:30 a.m. and Holy Family at 8:30 a.m.
:00 a.m. at Sts. Peter and Paul. There are no evening Masses this week. The Parish office will be closed December 24, 25, and 26. On a personal note, as I get older, it seems to me that Christmas is always changing. There are people missing from the family and new people coming in – funerals, weddings, births and life itself are constant agents of change. This year in the Church there has been much change. There are people who, in understandable emotion, have left and yet there are people who have somehow rediscovered their faith and returned. I no longer have just one parish to love but four. No longer am I a lone priest. I have a trio of Capuchins and a Seminarian with whom I minister. We have 4 parish staffs to support us and all of you. Mass times have changed, parking is more complicated. Everyday I’m in a different sacristy and church. Christmas 2018 is full of change but there is one thing that never changes – the Love of Jesus. No matter what is going on or in what state we find ourselves this Christmas, Jesus loves us. He was born in the stable of Bethlehem to prove that love which remains forever. 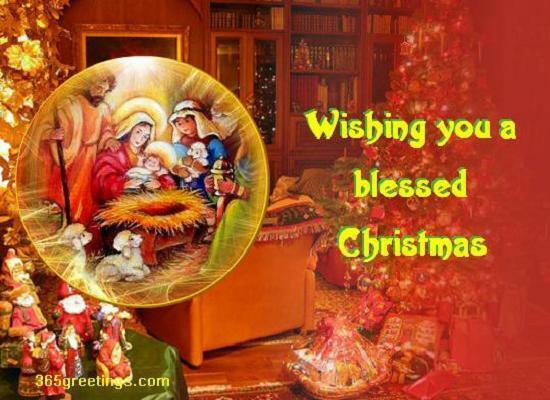 I hope and pray that you and your loved ones will have a wonderful Christmas celebration. I am very grateful for your kindness, support and patience. The Friars, Joe and all the four staffs join me in wishing you all a most blessed and joy-filled Christmas! The theme of our Third Sunday of Advent is REJOICE! We light the pink candle to remind us of our reason for joy -The nearness of our God. This week there will be extra opportunities for the Sacrament of Penance. Holy Family, 4:30 p.m. and 10:00 p.m.
St. Cecilia, 4:00 p.m., 7:00 p.m. and 10:00 p.m.
Sts. Peter and Paul, 4:00 p.m., 6:15 p.m., 10:00 p.m.
Sts. Peter and Paul, 8:00 a.m. and 11:00 a.m. This is the same schedule as last year. It may seem a bit repetitive but we thought less change for Christmas might be helpful. Please try to find some quiet time to reflect before your tree and crib with Jesus. ADVENT CONFESSIONS: This week, Tuesday, December 11, is the Bishop’s “The Light Is On For You”, from 6-9:00 p.m. A priest will be available in each of our 4 churches. In addition to the regular schedule, here are other opportunities: Saturdays, December 15 and 22: Noon to 1:00 p.m. at Sts. Peter and Paul, Holy Family and St. Cecilia. Thursday, December 20, 4:00-5:00 p.m. at St. Felix. The Christmas Mass schedule is as it was last year. We’ll have BIG crowds and you folks are dealing with enough change already. Look in future bulletins for information. I’m very impressed with all the charitable outreaches I’m seeing in the parishes. Each has their own customs, but all of them are good. We do show our love for Christ by the charity we give to others. Soon, you will be hearing more about the mission of the St. Vincent de Paul Society. Founded in 1833 by Frederick Ozanam, this is a spiritual organization of Catholic laymen and women who have a dual purpose: 1) their own spiritual growth and 2) helping friends in need. Not every parish has had a St. Vincent de Paul Conference, but all the local parishes have been served, none the less. Because of our cluster, the Saints Peter and Paul Conference will have responsibility for our 4 parish communities. More information is coming, but you’ll be amazed at the work they do. In these busy days of Advent, do try to find quiet moments to spend with our Lord in prayer. Think of it as “spiritual vitamins” to keep up your strength. ADVENT, the Liturgical Season that begins today, is one of the clear indications that the Church is so different from the world in which we live. We begin this season of spiritual preparation for the celebration of our Savior’s birth and then we celebrate His birth for about two weeks. The world celebrates now and then stops as soon as December 25 is finished. Yes, there is much to do to prepare for Christmas but the most important preparation takes place in our hearts. Please mark your calendar for December 11, Confessions from 6:00-9:00 p.m. in all four of our churches. Other opportunities for the sacrament will be available in addition to the three regularly scheduled. Saturday, December 8, is Feast of the Immaculate Conception. It remains a Holy Day of Obligation because in her title of the Immaculate Conception, Mary is patroness of our nation. Holy Family – 4:00 p.m.
St. Cecilia – 7:00 p.m.
St. Felix – 8:30 a.m.
Saints Peter and Paul – 9:00 a.m.
Everything seems to be going well. Thank you for your support and patience. I hope everyone has had a wonderful Thanksgiving weekend. Today, November 25, is the Feast of Christ the King. More than just the end of our Liturgical season, it is a summary statement of our belief. Everything that we have experienced, believed and celebrated since the 1st Sunday of Advent, 2017, leads us to this statement – Jesus is King! He is the beginning, middle and end of everything we do. May each of us discover the joy and freedom that His Kingship brings in our life. In honor of this feast, there are celebrations of Eucharistic Adoration at Holy Family, 10:00 a.m. till noon with benediction; Sts. Peter and Paul, 1:00-4:00 p.m. with Benediction; St. Cecilia and St. Felix do a procession and Benediction following Mass. This coming Saturday, December 1st, is the Confirmation Retreat for our 8th graders. St. Cecilia is the site this year. Please pray for the candidates that their faith will grow strong as they prepare themselves for this final Sacrament of Initiation. Saints Peter and Paul School Annual Candle Light House Tour is next Sunday, December 2nd from 4 p.m. to 8 p.m. Call the school for more information: 724-774-4450. One of the immediate issues our grouping needs to face is coordinated maintenance of our buildings. The priests cannot oversee this work. So, we are beginning a search for a Facilities Manager to oversee, plan and coordinate all maintenance and janitorial efforts. Please send resumes to Fr. Bob at any of the four parishes. All the Parishes offices will be closed both Thursday and Friday. Next Sunday, November 25, is the Feast of Christ the King. The last Sunday in the Liturgical year, there will be Eucharistic Adoration from 10:00 a.m. to 12 noon at Holy Family; 1:00-4:00 p.m. at Sts. Peter and Paul. St. Cecilia and St. Felix do a procession and Benediction following Mass. Next weekend, November 24-25, the Voice of Justice organization of St. Cecilia is sponsoring a Fair Trade Fair. Fair Trade Fairs are a movement to directly sell goods from African and Central and South American Artisans, without a middle man. These products provide stable living wages for those who would otherwise go without. Items include: coffee, tea, chocolate, nuts, scarves, jewelry, handmade crosses, linens, etc. Cash, checks, and credit cards will be accepted. Thanks to everyone who supported the Roast Beef Dinner at St. Felix last Thursday. Thanks, as well, to all the workers. It was very delicious!! It’s important that we all support each other’s fundraisers. Remember please, that no matter which church you attend, the envelopes go back to the right office. Thanks so much for your generosity to all the recent special collections. Such generosity means a great deal. This Sunday, November 11, is Veterans Day, but the celebration takes place on Monday. I salute our veterans and ask for God’s blessings upon them and their families, especially those who are wounded. Many of you might not know that each year St. Cecilia hosts a community-wide Thanksgiving Day Dinner from 12 noon to 3:00 p.m. If you want to make any donations, please call St. Cecilia at 724-775-0801. I witnessed two great spiritual moments last weekend that I would like to share: First was a combined youth group event Saturday into Sunday called the “30 Hour Famine”. This was an amazing experience for teens to begin to see the all too real problems of hunger around them (often invisible) and also to develop deeper gratefulness for their own blessings. Lots of activities, including goat yoga (yes, live goats), made it both a fun and beneficial event. I just wish more teens would come. Second was 11:00 a.m. Mass at St. Felix. I’m surprised it hadn’t happened sooner, but I messed up the schedule on Sunday and was 20 minutes late for Mass. To my surprise, the church was still full. Although they might have had every right to leave angry, the Mass was important enough to wait. That strengthened my faith in light of our Church’s ongoing struggles. Really, everyone has been patient, understanding and so good about it all. The Friars and I are very grateful. We pray for you daily. Please remember that Tuesday, November 6, is Election Day. Let’s not forget that our civic duty to vote is also a spiritual duty. The synagogue massacre on October 27 is something we should never forget. We need to pray for those who were killed, injured, their families and everyone affected by this horrible violence. God bless them all. Please support the Fall Festival at St. Felix on Thursday, November 8, from 3:00 p.m. to 7:00 p.m. There will be lots of good fun and good food for all! Please, everyone, pray for each other and for the guidance of the Holy Spirit upon us. Well, week one didn’t seem to have too many complications so, first of all, thank you, thank you, thank you, thank you (one for each parish)! The priests really appreciate the welcome we received from everyone. Of course, there are kinks to work out but with your patience, all will be well. Saints Peter and Paul 4:00 p.m.
Saints Peter and Paul 9:00 a.m.
Saints Peter and Paul 7:00 p.m. The next day, November 2, is the Feast of All Souls, our memorial day in the Church, when we pray for all the faithful departed. We do that every day, of course, but All Souls Day is a special dedication. At both St. Cecilia and Saints Peter and Paul at 7:00 p.m. that evening there is a Mass for all who have been buried this past year since November 2, 2017. The folks from Holy Family and St. Felix are welcome at either Mass. Please call the office at either Parish so the names of your loved ones can be included in the prayers and in print. As soon as possible, please. Blessings to the children for fun and safety at Halloween – which means “the Eve of the Hallowed”. November begins with the Saints reminding each of us of our own call to Holiness and the judgment that awaits us all. I hope you have a good week. Another parish Mission Trip, under the guidance of Dr. Suzanne Vogel-Scibilia, is being planned for this November. One of the stops on the mission trip will be to a leprosy hospital. Suzanne asked if I could lead the effort in collecting donations of small personal items that will be given to the patients (i.e. toothbrush/paste, socks, mirrors, razors, combs, brushes, etc. ), and candies. The intention is to fill gallon-sized Ziploc bags for each patient, so any of the items should be of a size small enough to fit in those. Although leprosy is not the sentence of living death that it was in Jesus’ time, it is still a problem especially in third world countries with great poverty and poor sanitation. Anything you can do to help is great!!! Congratulations to Fr. Bill Schwartz who, this weekend, is celebrating 50 years as a Priest. May God bless him and his ministry to the folks at Brighton Rehabilitation and Wellness Center. All Saints Day will be here shortly. The Mass schedule is different than it has been in the past. The next day, Friday, November 2, is All Souls Day, our Memorial Day in the church. There will be a special mass that evening at 7:00 p.m. for all who have been buried from this Parish since last November 2. If you have someone who has died in that period and would like them to be remembered in this Liturgy, please call Nora at the Parish Office. October is the month of the Rosary. Please remember to pray for all the needs you see around you. There is a great deal of hardship and suffering in the world. As disciples of Jesus, we must try to imitate His love and compassion for the sick, the poor and the needy. Speaking of which, thanks again to everyone who sponsored me in the St. Vincent de Paul Society Walk. I exceeded 13,000 steps in two efforts. Thank you so much for your wonderful generosity to the Mission Appeal. Thus far, the total is $2,751.00. This parish is always very generous to the Missions. As Fr. Wilson said, the American Church is known throughout the world for its great generosity to fellow Catholics who are struggling. His story of how Christianity has been presented in parts of India is very compelling. Thanks for your generosity. Today is Catechetical Sunday, which marks the beginning of our Religious Education program for the year. Our school Religious Formation is already in gear. Our elementary and middle school Religious Education program will begin next weekend. RCIA begins next week and there will be other opportunities for Adult Religious Education throughout the year. Religious Formation never stops. There are always new things to learn and spiritual matters in which to grow. If nothing else, please read the Pittsburgh Catholic, my friends. There is always something helpful to be found there. My thanks to the dedicated Catechists and volunteers who are so committed to our Religious Education program. I hope the idea of the new Mass schedule is settling in. Probably our biggest adjustment is the combination of 9:15 a.m. and 11:00 a.m. Masses into the 10:00 a.m. Mass. It will be crowded to be sure but, if the specific time of 9:15 a.m. or 11:00 a.m. is imperative for you, those times are available, just at another church. The priests will be rotating among the four churches. Please keep praying for all those the Church has hurt and all those who now are disillusioned. R.C.I.A. begins next Sunday, September 23. The Rite of Christian Initiation of Adults is for anyone who thinks they might like to be Catholic. It also works very well for someone who’s been away from the Church or someone who just wants to understand our beliefs more clearly. Call Nora Stay at the parish office at 724-775-4111. The next Baptism Class will be Monday, August 6, at 7:00 p.m. in the church. Please call me to register. I am frequently receiving thank you letters to the parish for your generosity. Just recently: 1) The Women’s Shelter sent a letter of thanks for the new bed linens and toys received. 2) Carly Koza sent a note to thank everyone for the support of her recital and fundraising for the Children’s Miracle Network. Also, I want to report that your generosity to the fundraising efforts of Josh and Ben Kruczek’s Eagle Scout Projects had an unexpected blessing. The projects: Josh re-landscaped the walkway alongside the playground and Ben took on the building of a gazebo on the school lawn. Well, the projects are finished under budget, so the excess is going to St. Vincent de Paul Society to help with utility bills. The Vincentians are getting many requests as the utility companies are far more serious in summer than in winter about shut-off notices. So, your generosity has had a double-effect blessing. Thank you! I need to make a plea again for our parishioners to support Eucharistic Adoration. We are not getting the attendance we should. It is Fridays from Noon to 5:00 p.m. except during Lent and an a few occasions when I needed to stop it earlier because of weddings. It is a very special time to come before the Lord at the altar. There is also Eucharistic Adoration on Sunday afternoon from 4:00-5:00 p.m.
Again, I encourage folks to make sure you know where the other three churches are and where to park when the tentative schedule begins in October. It may be more convenient for you to attend Mass at another church. You may also notice some of those parishioners coming here. I cannot announce it yet, but we have tried (the other priests and I) to arrange the schedule in such a way that each parish will keep some current Mass times. Everyone, however, will experience change. Vacation Bible School is coming up July 23-26. So much support is happening already. Thanks so very much! On Sunday, June 24, I made a joke about it being 6 months until Christmas. Thinking about Christmas, I’m wondering if there is a person or parish organization that wanted to organize and manage the Christmas Tree Sale. After several years, Frank Bovalino is giving it up. (Not easy work, to be honest). If this tradition is to continue, someone needs to come forward. Trees will need to be ordered by the end of the summer. Please join me in thanking Frank for all his hard work and all who have helped. I had another birthday last week and am now the proud holder of a Medicare Card!! Thanks for many kind wishes. I’ll be away part of this week. The Parish staff and Joe will be able to re-direct any emergencies in my absence. Jesus, Mary and Joseph, in you we contemplate the splendor of true love, to you we turn with trust. Holy Family of Nazareth, grant that our families, too, may be places of communion and prayer, authentic schools of the Gospel, and small domestic Churches. Holy Family of Nazareth, may families never again experience violence, rejection, and division: may all who have been hurt or scandalized find ready comfort and healing. In a world which daily discards tons of food and medicine, there are children, hungry and suffering from easily curable diseases, who cry out in vain. In an age which insists on the protection of minors, there is a flourishing trade in weapons which end up in the hands of child soldiers; there is a ready market for goods produced by the slave labor of small children. Their cry is stifled: the cry of these children is stifled! They must fight, they must work, they cannot cry! But their mothers cry for them, as modern-day Rachel’s: they weep for their children, and they refuse to be consoled (cf. Mt 2:18). Every adult has the right to decide how his or her assets should be distributed at death. Regardless of how much you might own, it is your right and responsibility to determine how your remaining assets should be distributed. Without a will, the intestacy statutes of the state of your residence at the time of your death will determine how your assets are distributed. Distribution of charitable gifts to Saints Peter and Paul Parish, providing a witness to your loved ones about the importance of your faith and the church in your life. A will should always be prepared by an attorney licensed in the state of your residence. Your attorney will need to be familiar with your financial circumstances, family situation and your wishes. Your attorney may wish to work closely with your financial advisor or tax preparer. Advice from an attorney and other professional advisors should be sought when considering any form of charitable giving so as to maximize the value of the gift and minimize tax consequences to your estate.